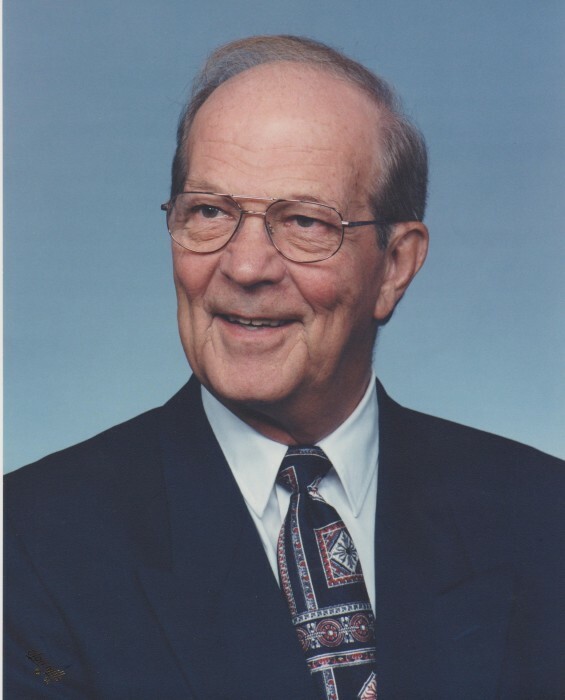 Dr. Roger Glen Boyd, a resident of Fairborn, OH for 65 years passed away on March 25, 2019 in Dublin, OH at the age of 92. He was born September 28, 1926 in Quaker City, OH to John Boyd & Audrey Tillett Boyd. After graduating from Cambridge High School, Roger served in the 17th Infantry of the US Army Pacific Theatre in WWII (Okinawa & Korea). In 1952, Boyd received his doctorate from The Ohio State University College of Optometry. While visiting, future mayor Ed Duncan sold Roger on Fairborn, Ohio. After working at WPAFB, he opened his Optometry practice at 101 N. Broad St. He had two rooms, practicing in the front and living in the back. The practice moved to 202 W. Main St., finally becoming The Vision Center at 302 W. Main St. In 1968, the building incorporated other businesses and apartments. Practicing for 47 years in Fairborn, Dr. Boyd said, “One of the true joys of being in this long practice of Optometry was in getting to know the many people I saw as patients.” Caring for generations of families was a blessing to him. Boyd gave seven OSU Optometry grads their career starts. At one time, The Vision Center was the largest practice in the state of Ohio. He would credit that to the caring, professional people who worked there. Dr. Boyd was past president of the Ohio State Board of Optometry, Fairborn Lions Club, Fairborn Civic Music Assoc., Fairborn Playhouse and St. Mark’s Lutheran Church. He was honored to be Ohio Optometrist of the Year, OSU College of Optometry Alumnus of the Year and a Notable Alumnus. Boyd adored his beloved OSU, family fishing trips to Canada, playing tennis, traveling with dear friend Fonda Thomas, and was a Life Master in Bridge. Family: brother, Gordon Boyd (deceased) and sister, Leota Boyd Echard (deceased). Children (with former wife, Linda Shoaff Atsalis, deceased): Cary Boyd Criss (Dublin, OH), Mark Boyd (Sarasota, FL, deceased), and John Boyd (Mason, OH) Grandchildren: Molly Boyd Fox, Kacey Boyd Grice, Ashley Boyd Johnson, Emily Boyd, Ryan Boyd, Jordan Criss, Mark Boyd, Aaron Boyd. Visitation will be Friday, March 29 from 6:00-8:00 PM at Morris Sons Funeral Home, 104 W Main St, Fairborn, OH 45324 and Saturday, March 30th from 10:00 – 11:00 AM at St. Mark’s Lutheran Church, 100 E Main St, Fairborn, OH 45324. Funeral Service will follow at 11:00 AM at the church with Deacon Nancy Trimble officiating. In lieu of flowers, please feel free to make a donation to the National Park Service or the Fairborn Parks Foundation. Online condolences may be left at Morris-Sons.com.